We donned our parkas and headed to Pier Pressure to play Modrophenia, an escape room centred around the 1960’s youth subculture. The location of Pier Pressure in Brighton has true historical links to the sixties Mod movement and to this day still holds annual Mod rallies on its iconic seafront. We arrived met by our games master outside the room. Dressed as a cliched Mod, he enthusiastically recognised us as his mod-mates and welcomed us to the space before retelling the games plot with full swagger. This unexpected introduction and our GMs excellent sense of occasion succeeded in getting us into the spirit of the theme that we almost felt guilty for not arriving on a stream of Lambretta's! We have taken on the role of a gang of Mods in 1964 Brighton who are investigating the murder of one of their friends. Puzzles, riddles and discovery will lead us to uncover more and more of the story, but will we find out what happened in time? The game area was dressed to a very good standard that befitted it's theme effectively (and it was also clearly well maintained! ), with its era-appropriate props and trinkets being its main decorative highlight. We were very impressed by Pier Pressure's use of real items that they have skilfully adapted for an escape room leading to a satisfying number of unique puzzle experiences. A nice touch we thought given that pricey props are usually reserved for enhancing decoration and never normally form part of tactile gameplay. For the Pinball Wizards an original 1964 pinball machine featured, alongside an actual 1963 Vespa centrepiece to name just a few of this rooms lavish inclusions. The puzzles here were equally as impressive and came at varying levels of difficulty and variety that covered almost all puzzle types, we liked the fact each task rewarded us with information needed to complete the penultimate puzzle. The games puzzle structure was multilayered, so there was plenty to investigate, search and solve, which meant at no point were any of our team members stood around without anything to do. 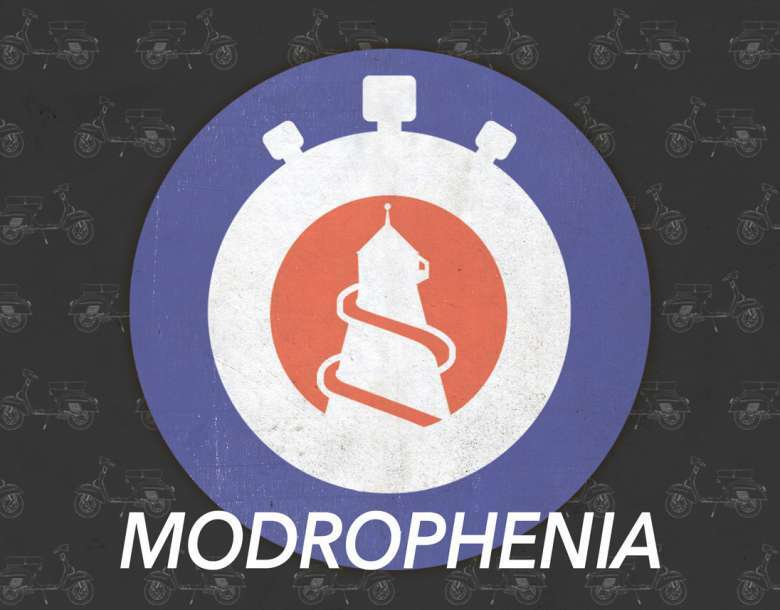 Our team of four was kept very busy at all times and although we appreciate Modrophenia has been designed with larger groups in mind, enthusiasts may even find this room a tenacious challenge. A major room highlight was the witty and inventive clue-system, which additionally provided an appropriate soundtrack complimenting the rooms theme further. The music was well placed and never brash enough to impede your concentration. As you advance throughout the game, you whittle down the suspects to identify your mod mates murderer, which in turn offers awareness of your progress in the game. We’re usually cynical of plots that still administer a “fail” if you're unsuccessful in identifying the resolve of sub-plot despite escaping, but this narrative worked well in Modrophenia right through to its pressurised and wholly gratifying finale. Pier Pressure does an admirable job by resourcefully incorporating Brighton's colourful and interesting past into its rooms. Not only does this keep its escape room theming exclusively relevant to them, but their rooms are entirely unique - and marginally educational too! Perhaps Modrophenia is not one for “absolute beginners”, but if you scooter down to Pier Pressure for your own 60 minute Jam here, the eclectic array of puzzle styles with its anomalous theme held together by a hyper-cool GM provides all the mod-cons for a sharply dressed, challenging escape room experience. to my heart... Cheers! Where are your contact details though?